The Nintendo Switch has been out for over 2 years now and it is probably Nintendo's best and most creative console yet. Nintendo always emphasizes on multiplayer with their home consoles. 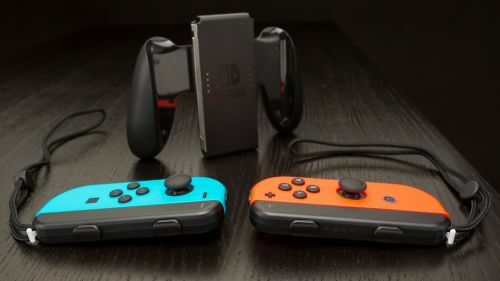 The Switch became a combination of their handheld and home console after seeing disappointing numbers with their Wii and Wii U consoles. Still, the Wii and Wii U introduced and sold some of the best multiplayer games from Nintendo. The social part of many of these games is what really made them fun. If you subscribe to Nintendo Online, you can get access to multiplayer with some classic Nintendo games from the 80s and 90s such as Super Mario Bros., Metroid, Kid Icarus and much more. Here are some of the best games for the Nintendo Switch you can play socially. Monopoly, the board game that goes on forever and makes you lose friends sometimes. The Switch version of the game is very cleanly designed and allows you to choose different boards and themes in the game. It follows six classic Monopoly rules which you can choose. If the game goes on forever, you can choose to save the game and finish it a later date too. Everything is efficiently managed and Monopoly for the Switch is a neat digital version of the classic board game. The gameplay of Arms is really simple. You choose a character, you select your set of Arms to punch with and defeat the opponent. Arms is one of Nintendo's best selling games and is insanely fun to play socially. You can have up to 8 players in match-ups and you can choose whether you want to use the motion control Joycons or regular controls. There are also tons of challenges and extra game modes in the game which you can team up with a pal to clear those rounds.